Do you have big plans for Valentine’s Day this year or are you thinking something a bit more low-key? Whether you’re spending time with your sweetie or hanging with your best friends, you’ll fall in love with these Valentine’s Day inspired cocktails! Preparation: Add all ingredients into a Collins glass filled with ice and stir together to combine/chill. 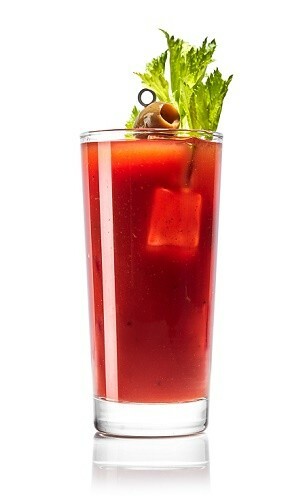 Garnish with celery, lime or other garnishes of your choosing. Preparation: Add ingredients into a shaker filled with ice and shake vigorously. Rub lip of glass in chili mixture. Strain mixture into a glass filled with ice. 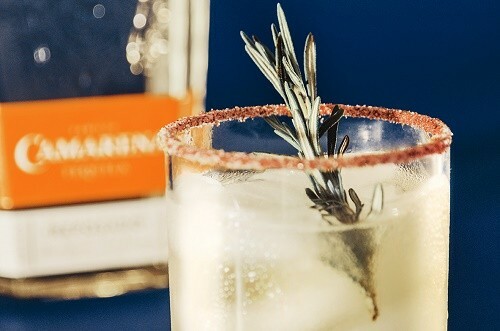 Garnish with rosemary sprig.